Friday, November 16 at 11:00 a.m.
Getting ready to make that oyster stuffing for your Thanksgiving celebration? 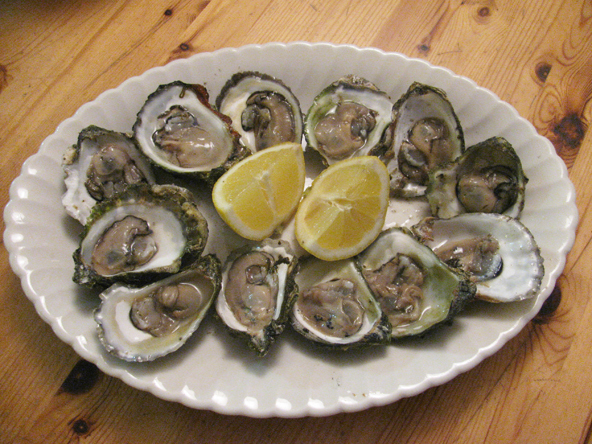 Come and learn about farming oysters from John Lowell, co-owner of East Dennis Oyster Farm. John and his wife Stephanie have been farming oysters on Cape Cod since 2003 and their farm, located off Quivett Neck in East Dennis, contains as many as 200,000 oysters. John will give our audience a peek into an oyster's journey from farm to table and discuss his commitment to sustainable aquaculture.